Kamala Harris is hitting the campaign trail hard. She’s hitting a theme that’s not common in most presidential campaigns, and that’s teachers salaries. One would wonder why. It’s usually either a local campaign issue for local politicians, or the front line battles of teachers unions around the country, among the issues they fight for. 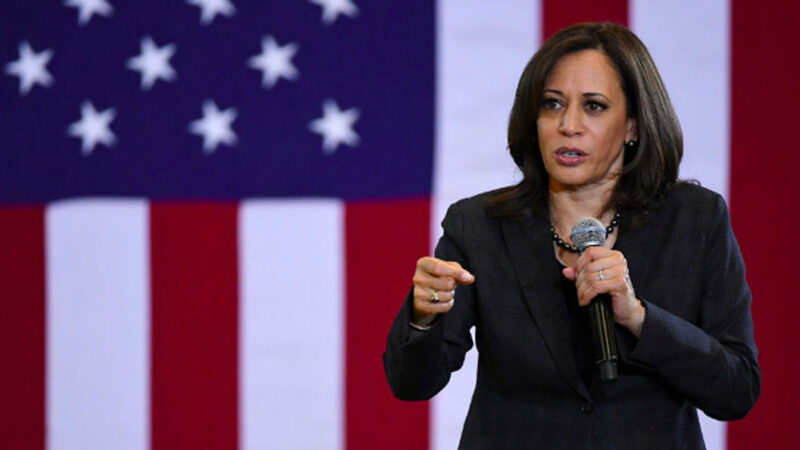 Senator Harris wants to invest 315 billion dollars in her first term as president, if she should win, of course, and in her first year, raise all teacher salaries by over 13,000 dollars, and then match three dollars for every one they spend. It is a political move that could gain support from Democratic-leaning and Republican-leaning states around the country, given the strikes that have been taking place. Some education activists, while supporting the idea, say that teachers salaries are just part of what’s driving the teachers moves and strikes around this country, and what we need more is investment in our public education system across the board. We are joined by Dr. Lois Weiner, who is a former Professor of Education and an independent education researcher and consultant on teachers unions, a noted author, author of numerous books, including The Future of Our Schools: Teachers Unions and Social Justice. And Lois Weiner, welcome to The Real News. Good to have you with us. LOIS WEINER: Thank you for inviting me. MARC STEINER: Let’s just start with this little clip from Senator Harris on a news show, where she describes a bit about what she’s talking about. KAMALA HARRIS: We’re going to pay for it by adjusting the estate tax. Right now, it’s only 11 million dollars and up, and we need to lower that so that we can actually pay what we want in terms of knowing that we want to invest in our teachers and the future of our country. In terms of how we came about this legislation, it’s simple. I’ve been traveling the country meeting teachers working two jobs, sometimes three. Over 90 percent of our teachers are coming out of their own pocket to pay for school supplies. GAYLE KING: No, I’m talking about that figure, Senator. That specific figure. KAMALA HARRIS: Sure, Gayle. So the data is very clear that teachers are, as compared to other college graduates, receiving 11 percent less in pay across the country. So we have data that supports this point. And that is the equivalent of about $13,500 a year. And $13,500 a year is the equivalent of a year’s worth of mortgage payments, the equivalent of a year’s worth of grocery bills, the equivalent of paying down student loans for a year. So it’s a very significant amount of money. MARC STEINER: So Dr. Lois Weiner, I mean, clearly, this is a very, I think, shrewd in many ways political move on the part of Senator Harris. It clearly touches the home front for many teachers and many parents whose kids are in public school. But there was a lot to all these strikes happening around the country, and I covered almost all of them. And one of things that seemed be, whether it was in California or Oklahoma or West Virginia or here in Annapolis and Maryland where we broadcast from in Baltimore, that teaches salaries were always part of these larger issues, but it was just one of the issues that had to do with bolstering public education. So talk about what you think this all means, both politically and in terms of that larger question that so many teachers are fighting for. LOIS WEINER: Well, I think that first of all, there’s no question that Harris is trying to seduce people who support the walkout of teachers for increased educational funding by putting forward this proposal on teacher pay. But I want to just note the way I put it. The walkouts have been about increased educational funding, they have not just been about teacher’s pay. And I think that in casting the measure as Harris did in the proposal, as she did, focusing on teacher pay without discussing educational funding at large, I think this is a special effort to woo the activists and the teachers unions, and perhaps to get the nomination of both the AFT and the NEA. But I don’t think that the proposal to focus just on teachers pay is resonating among activists in the movement. I spend a lot of time on social media with people who are activists, and there are people who were saying, “Wow, we finally have a candidate who’s talking about teacher pay.” But there are a lot of other people who are saying, “We don’t want an increase in pay if it means that the money is going to come out of schools budgets that are otherwise paying for aides or counselors, after school programs, et cetera, et cetera, class size.” So I don’t think that the proposal is going to have the resonance that Harris thinks it’s going to, nor the resonance that the leaders of both teachers unions think it’s going to have. And I’ll just add that immediately after Harris made the proposal, it was touted as being a great idea by Arne Duncan, who was of course the head of the Department of Education under Obama and responsible for many of the most deleterious reforms that schools are dealing with right now. MARC STEINER: So I don’t disagree with what you are saying, when you look around the country, and of course I know who Arne Duncan is, I’ve seen what he’s been saying. On the other hand, the polls from across the country show that teachers and parents and communities really do support this idea of teachers needing more money, having greater salaries, that they’re not being paid enough for the work that they do. And the teachers often are degraded in some part because of the feminization of the profession, but also just because they’re just not respected enough to be paid the money, and we don’t invest money in public education. So on that level politically, this might appeal to a real broad spectrum of people for her and her campaign. LOIS WEINER: I think it does. And I think that it’s important to note that the demand for increased teacher salaries has been a unifying demand of the movement and of the walkouts. That’s something that has been a unifying demand. It is also not the only demand. We see, for instance, in Los Angeles, that the demand for more counselors and the demand for support services, and all kinds of demands that related to relations with the community, were equally important, that salary wasn’t the key demand in Los Angeles. Los Angeles is, after all, the second largest city in this country. So while I think there is a resonance, a popular resonance for supporting increase in teacher salaries, I think that Harris’s proposal is, in some ways, clickbait. And so, she’s making a feint, a political feint, to the Elementary and Secondary Education Act, LBJ’s War on Poverty, I think that’s important. At the same time, when you look at the specifics of the proposal, the specifics have a neoliberal cast. So those specifics, as they say, the devil is in the details, those specifics are very, very important. And I just want to point out that Harris, in 2016, received contributions from Eli Broad, Reed Hastings, and Laurene Powell-Jobs. MARC STEINER: And these people are? LOIS WEINER: These people are billionaires who are prominent backers of the privatization agenda and education, of merit pay for teachers, of standardized testing to evaluate teachers and students, of creation of charter schools, of outsourcing education services like school bus drivers or security guards, everything, lunch programs. So at the same time that Harris prosecuted an online for-profit charter school in California, she was taking contributions from Reed Hastings, who was one of the primary financial backers of online charter schools and of charter schools in the state of California. I think this contradiction in Harris really captures the problem that people who have been aligned with Democrats for Education Reform, who are the Democrats who have really advanced the bipartisan privatization agenda, it really captures the problem that they have, that that agenda is being rejected. It is that agenda against which teachers have mobilized and organized. And one of the best examples is actually the Denver strike, because the NEA and the Colorado affiliate of the NEA poured money into Denver to get Denver teachers to agree to merit pay. It was one of the first places where they could get teachers to actually vote to agree to have merit pay replace the traditional salary schedule where you are reimbursed, where you’re paid according to years of experience, and also years of education, the salary ladder. And that had been the dream of the far right, was to get rid of the salary schedule of teaching for teachers. And they succeeded in Denver. Exactly the same thing happened in Newark, New Jersey. The AFT sent organizers in the national unions and organizers in to try to persuade the Newark teachers to accept merit pay. Of course, Cory Booker was the mayor during that time. And what always happens is that there’s a little money, or there may even be big money in the first year, and then the money dries up. And they use the rhetoric of improving school quality and especially improving opportunities for low-income kids of color, and educational opportunity. They’ve used that as a cover for privatization. So I think that you have to look at the specifics of the Harris proposal, applaud the fact that we have finally have a presidential candidate who’s talking about doing something about schools. Education has really not been on the agenda so far with any of the presidential candidates from the Democratic Party, so that’s good, but you have to look at the specifics. And the one thing that Harris is not talking about is per pupil expenditures, how much we’re going to spend on education as a whole per student. She’s not talking about that. MARC STEINER: So there’s another clip I want to play because I want to jump into this final conversation today about this, which has to do with the federal government’s role in all of this, and what this portends for activists and what this might mean for the campaign to come. But this is what she had to say in terms of federalism, and harking back to what you were talking about earlier with Lyndon Baines Johnson, with LBJ and his move in education. KAMALA HARRIS: LBJ was probably the last president who really put a substantial investment in the public education system of our country, and we reaped huge rewards for that. And that’s how I think of this. Where the states cannot act, we should actually support them. And so, specifically what we are proposing is that there would be a federal match, three to one, in terms of what the states can give and then what the federal government will give to match state funding. MARC STEINER: So let’s talk about that. So that was a different era, coming out of the end of segregation and the push for more federal involvement in lots of parts of our country that had been pushed back over the last 50 years. But let’s talk about what that agenda might mean for the country. LOIS WEINER: This issue of the federal role in education is a complete red herring. You have to understand that. MARC STEINER: What do you mean? LOIS WEINER: Because No Child Left Behind, when ESEA, Elementary and Secondary Education Act, was transformed with a bipartisan agreement into No Child Left Behind, that was a huge role for the federal government. The federal government really began to configure what goes on in public education. And how did they do that? Why was the federal government able to do that when the Constitution says that education is the responsibility of the states? The way they did that is that they leveraged the relatively small amount of money that they give to school districts and to states. In most states it is well under two digits, well under 10 percent, and it’s been dropping. They leveraged that money by saying, “If you do not agree to the standards, you’re not going to get any federal money.” That’s what they did. So it’s very important that we understand that the federal role in education has been huge for the past 15 years, absolutely huge. So what we’re talking about is increasing the amount of money that the federal government gives to schools, that’s what we’re talking about here. But the question is, what are the conditions under which we’re going to give that money? MARC STEINER: Well, that’s the question to ask, just in terms of this campaign, in terms of the activists in the unions and the activists among teachers and communities, what they’re demanding for their kids. There are very few other issues that really touch home as deeply in American families as education. So the question is, what is missing here and how do you think this is going to play out? What do you think the demands might be otherwise? LOIS WEINER: Well, first I want to say that I think that healthcare also reaches into U.S. homes, as does affordable housing. And that’s part of what Harris isn’t talking about, and I think that we need to contextualize money for teacher salaries by saying that even well-paid teachers, a well-paid professional teaching force is not much good if the kids don’t show up to school because they’re living in homeless shelters or they’re living in their parent’s car or if the family is under stress and the kids don’t have healthcare. So I think that many teachers are unwilling to say that teachers salaries are more important, or should be counterposed to, improving our healthcare system and having single payer health care or having affordable housing. In fact, that was one of the demands in the Oakland teachers strike. So I think that what we’re looking for, I think that what the movement is looking for, the movement is looking for candidates who will defend the promise of public education, of a quality system of public education, and at the same time, not say that education can be the vehicle to pull people out of poverty. And that has been the rhetoric, that education is the one true path out of poverty. It was Arne Duncan’s line with Obama and with the Democrats in this bipartisan project. And I think that coming up with a more nuanced description of the role of public education in this society, in a democracy, what it can do and what it can’t do, is part of the challenge for the movement. MARC STEINER: Well, Dr. Lois Weiner, this has been fascinating. I look forward to a lot more down this campaign trail as we see how this unfolds and where the teachers unions fits, and how education becomes part of this campaign debate on the future. Thank you so much for your work and thank you so much for joining us today on The Real News Network. LOIS WEINER: Thank you, Marc. MARC STEINER: It’s been a pleasure to talk with you. And I’m Marc Steiner here for The Real News Network. Thank you so much for joining us.